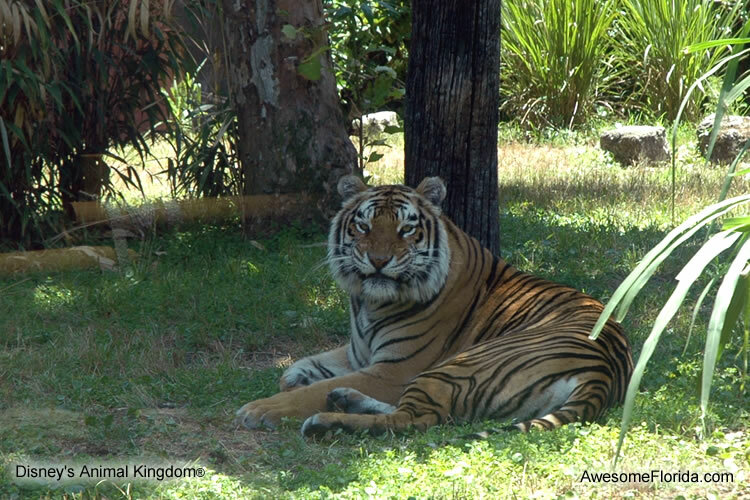 As its name implies, the park's primary theme is animals - both live and mythical. Located in the enormous Walt Disney World complex near Orlando, it is among the many attractions and resorts. Adults and kids have always enjoyed this park, and with the addition of Expedition Everest™, teens will also find the place enjoyable. The park is organized into seven theme areas. The entrance of the park leads to the Oasis with viewing locations and tropical gardens. Walk across streams on rustic bridges and along paths rich in flora and fauna. A unique family restaurant with rainforest canopy overhead, cascading waterfalls, erupting volcanoes, animated jungle creatures and periodic simulated thunder and lightning. The Oasis leads to Discovery Island which serves as the central hub to all other areas of the park. Discovery Island's most prominent feature is the Tree of Life, an impressive 14-story sculpted tree with 325 animal carvings in its outer bark. The 50-foot wide tree sits over the It's Tough to Be a Bug® theater. An amazing show with 3-D and mechanical effects that will wow the audience. Gain a better appreciation for the life of bugs while enjoying the hilarity of the show. Traveling out from Discovery Island and moving clockwise from Oasis, we encounter Camp Minnie-Mickey. 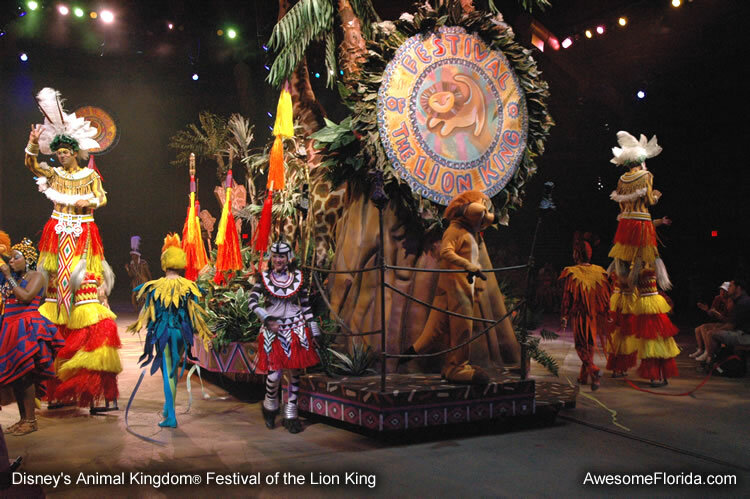 The Festival of the Lion King is the must-see attraction here. Inside the circular theater, a cast of exotically costumed actors dance, sing and perform acrobatics. Giant displays with Mufasa, Simba, Timon, Pumbaa complement the theme. Meet many of Disney's characters at the Camp Minnie-Mickey Greeting Trails. Get your autograph and picture taken with Mickey, Minnie, Goofy, Pocahontas and Rafiki. 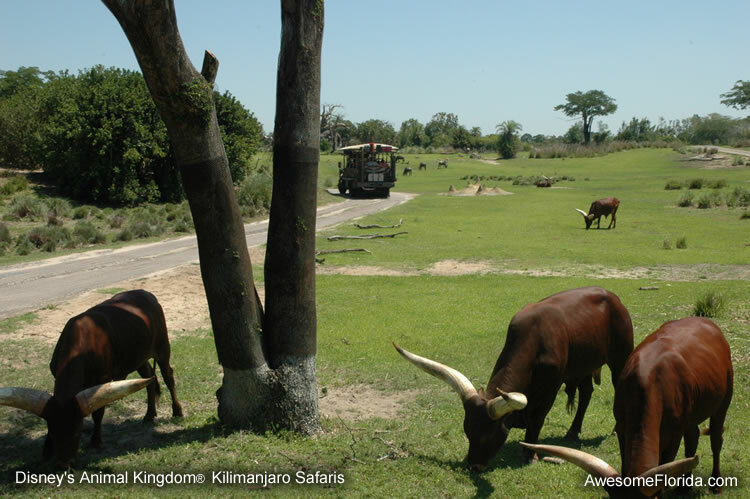 Back across Discovery Island and over to Africa we find Kilimanjaro Safaris®. Oversized, all-terrain, safari vehicles takes guests on a wild ride across an African savannah were live animals roam free. From these open-air vehicles, see flamingoes, elephants, lions, crocodiles, giraffes, hippos, rhinos, ostriches, cheetahs, eland, zebra and storks. Watch for 20 foot high termite mounds, ride along the bumpy trails across the grasslands, and keep a look out for poachers! 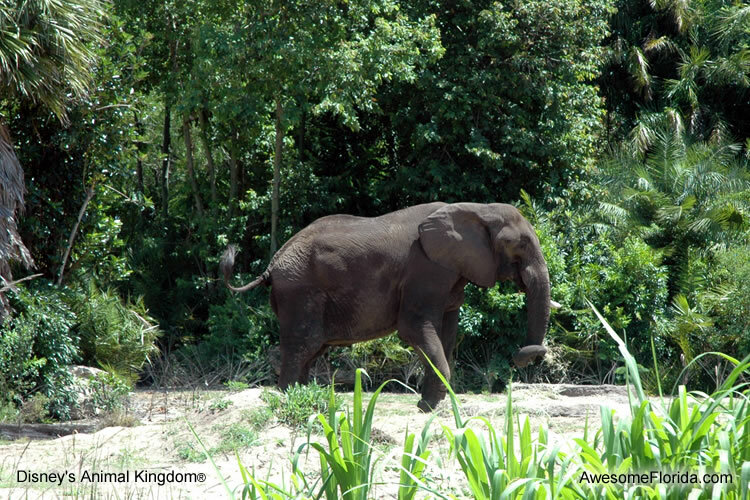 After the exhilarating safari, enjoy a stroll along the Pangani Forest Exploration Trail®. 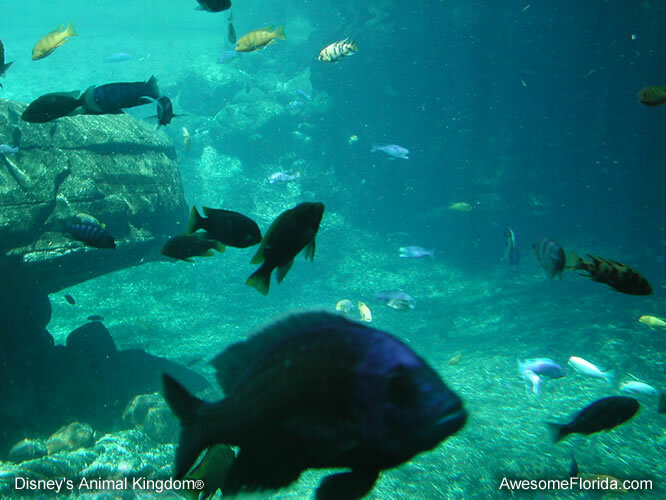 Witness exotic birds, fish, gorillas, meerkats and okapi. The trail has an underwater viewing areas where colorful fish and huge hippos can be seen swimming in clear, blue water. The rare okapi will surprise many with its looks of half zebra and half something else! It is actually a relative of the giraffe.